We had two different visits to Dubai in a month. 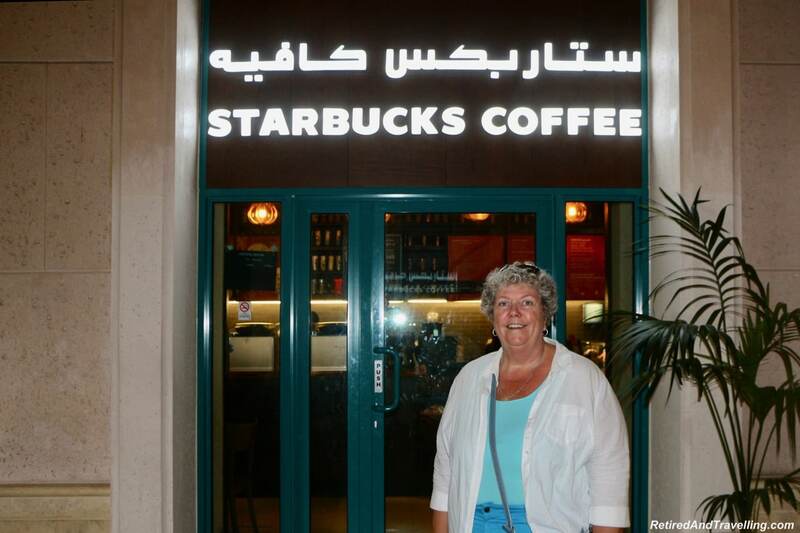 The first stop was part of our 51 day amazing cruise to the Middle East and Africa. We splurged on two Emirates First Class trips home from Christmas in Cape Town. This let us spend New Years in Dubai. We found so much to see and do in Dubai. But over two visits, we learned a few things. There are a few tips for visiting Dubai to keep in mind if you plan a visit. The traffic in Dubai was crazy. 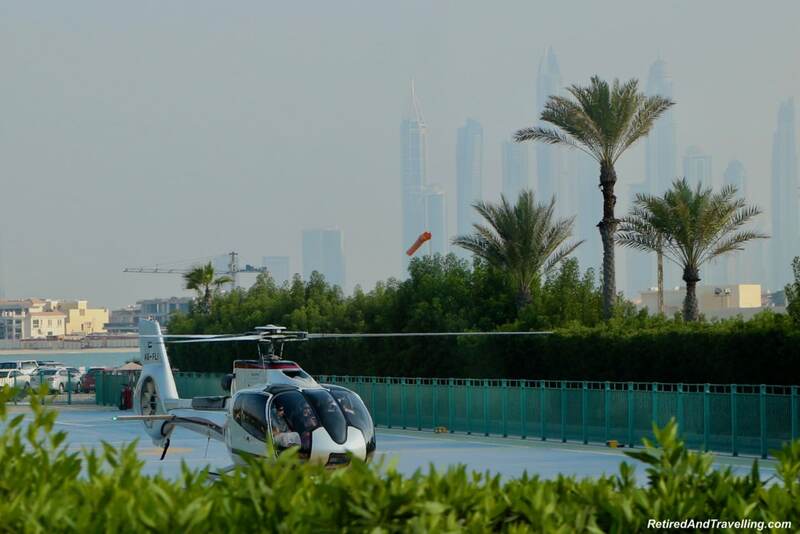 So we found other ways to get around Dubai. Dress requirements are more conservative than many other places we have travelled. Be prepared to cover up – even when it is very hot outside! There are many laws and customs that need to be considered when you visit Dubai. We found Dubai to be very expensive. There are ways to save some money. But little of what you want to buy or do is cheap. We didn’t find it hard to find food to eat when we visited. In fact, it was very strange to see so many North American restaurant brands. Our final tips for visiting Dubai are about setting expectations for what you will and will not see! We found so much to see and do on our visit to Dubai. One night we booked a desert adventure. 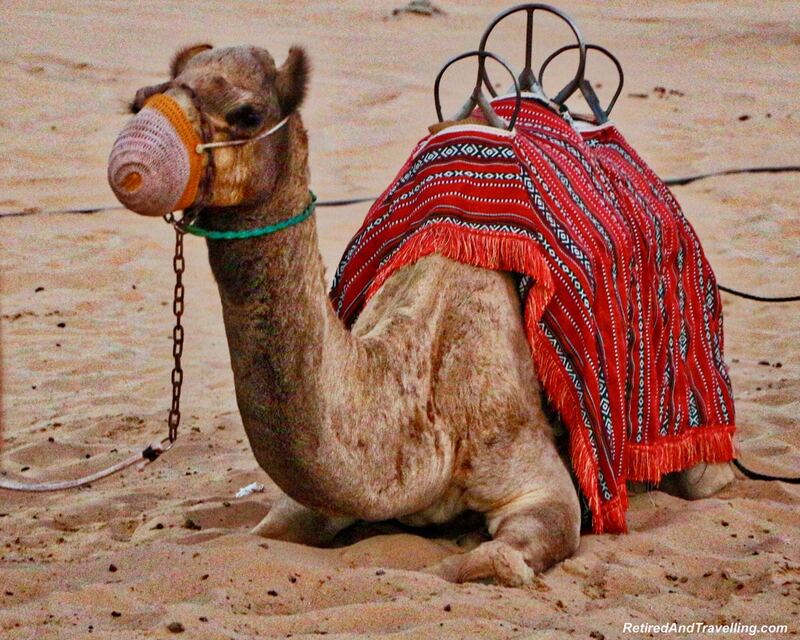 We got dune bashing, a camel ride and a Bedouin show. 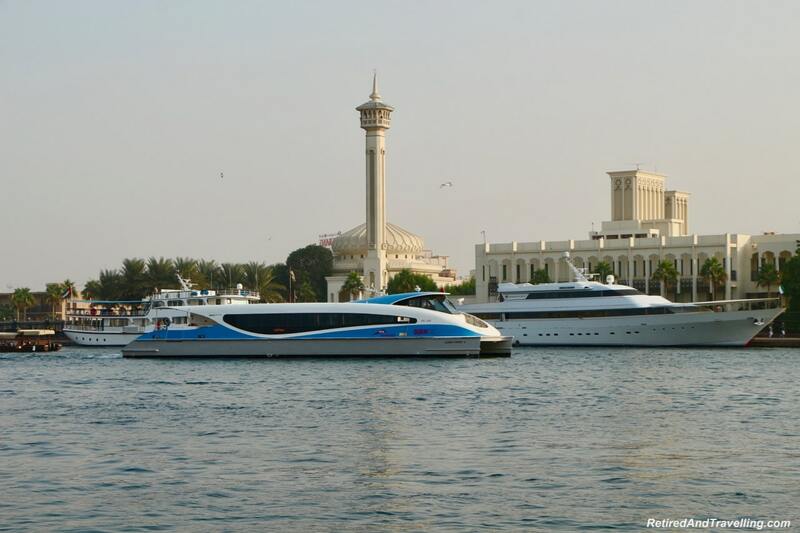 Sightseeing water tours were available from multiple spots along the Dubai waterfront. 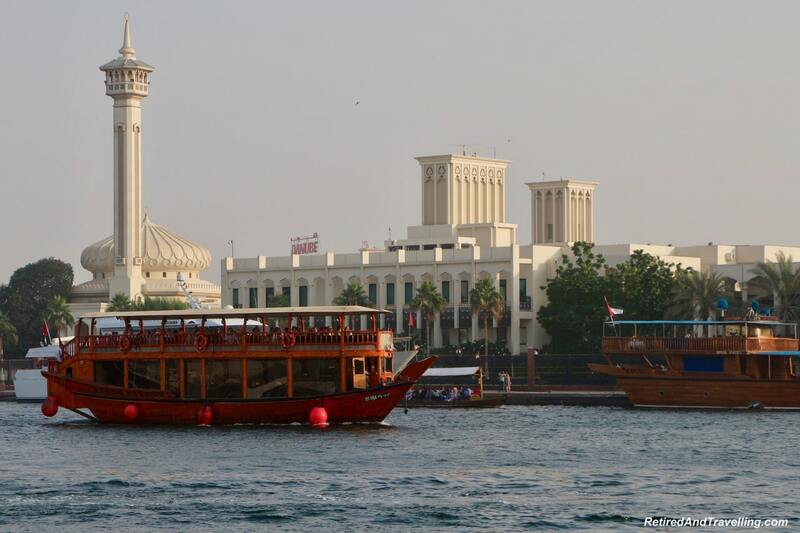 We tried both in a traditional wooden dhow or in a sleek modern ferry. Fascinating sights lined the shore for both water trips. 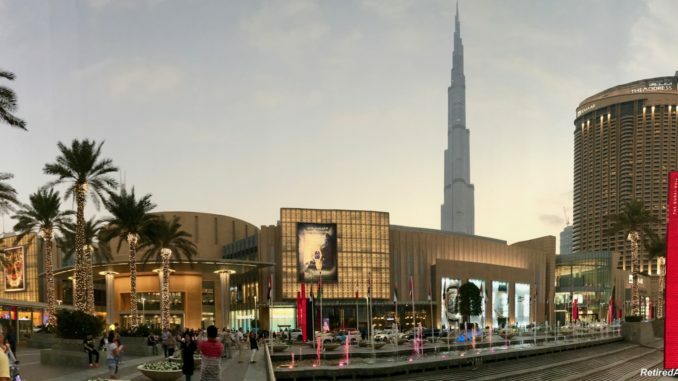 No trip to Dubai is complete without visiting the Dubai Mall. We visited the mall twice and there was still so much we didn’t see. 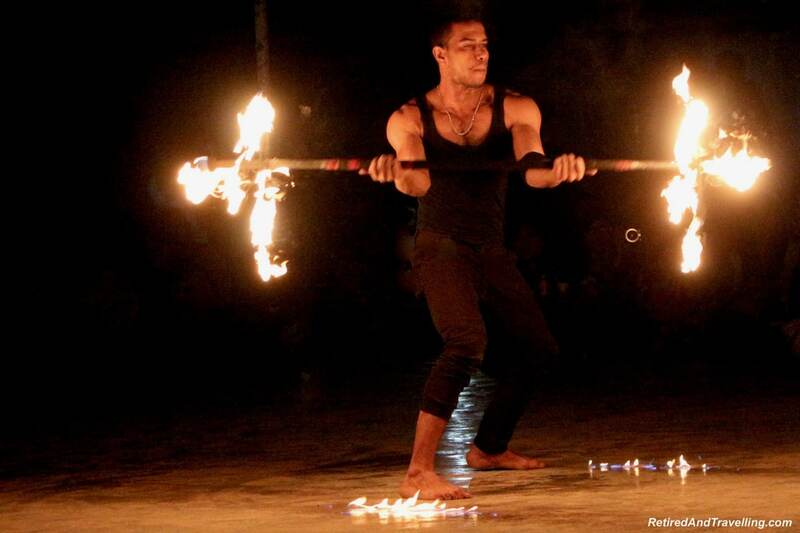 You can eat and shop but look out for more interesting activities. An indoor aquarium and ice rink are fun for the family. We loved the statues of the divers on the fountain that cascaded down the wall. 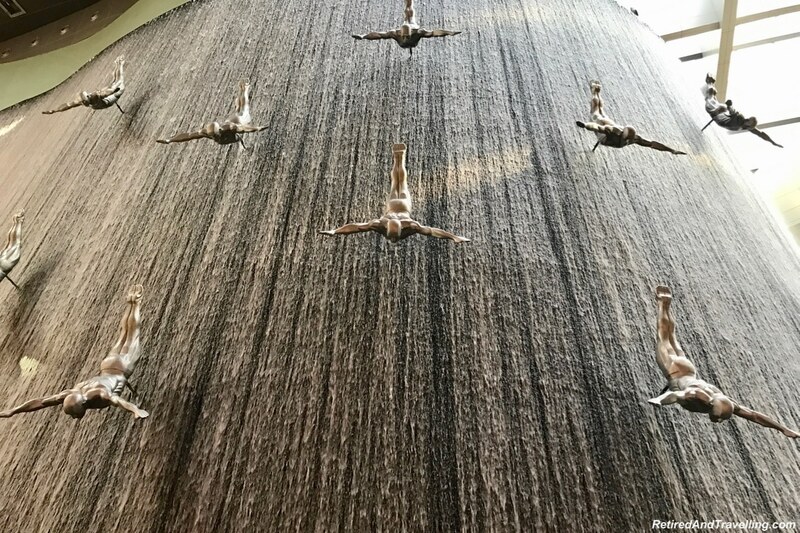 When we visited the Dubai Mall, we made sure to stay for the fountain show. 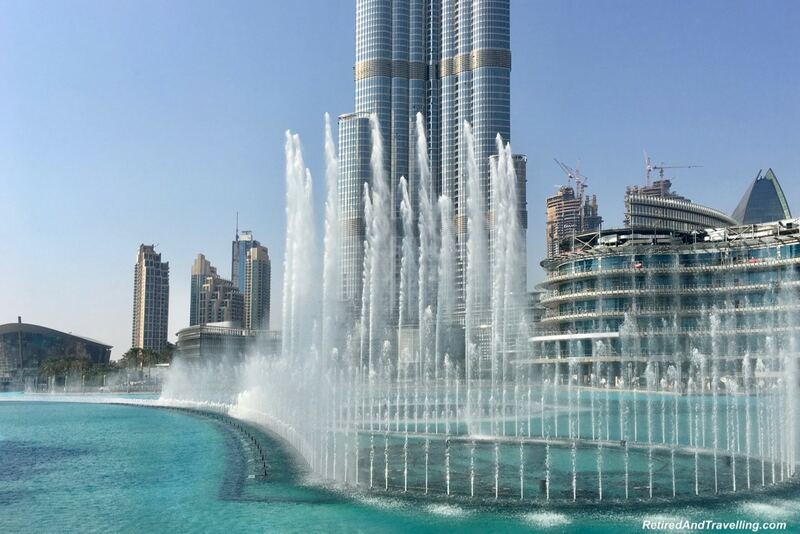 The large fountain sat with the Burj Khalifa behind it. Every 30 minutes the fountain danced to a traditional music selections. If you visit at night, the fountain lights are in synch to the music. 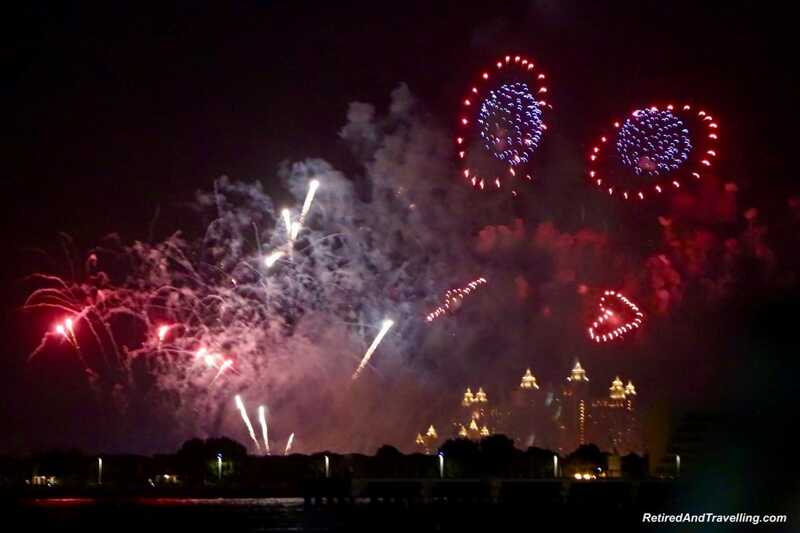 You may even consider scheduling your visit to Dubai for New Year’s Eve. We stayed in the Marina district for New Years. Massive displays of fireworks cascaded around the waterfront as if synchronized by a master hand. Next time we will plan to stay downtown in Dubai for New Year’s Eve. 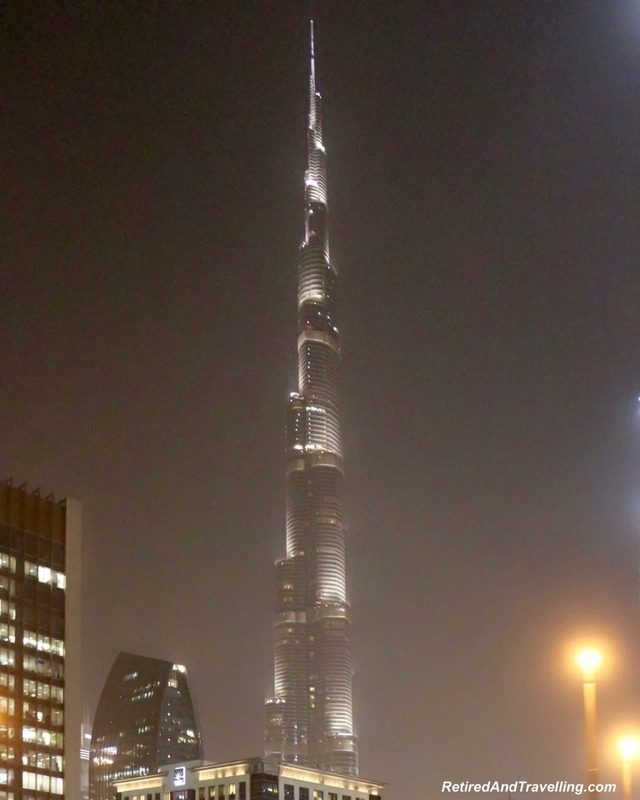 The New Year’s Eve celebrations at the Burj Khalifa are apparently one of a kind. The traffic was so much worse that we expected. 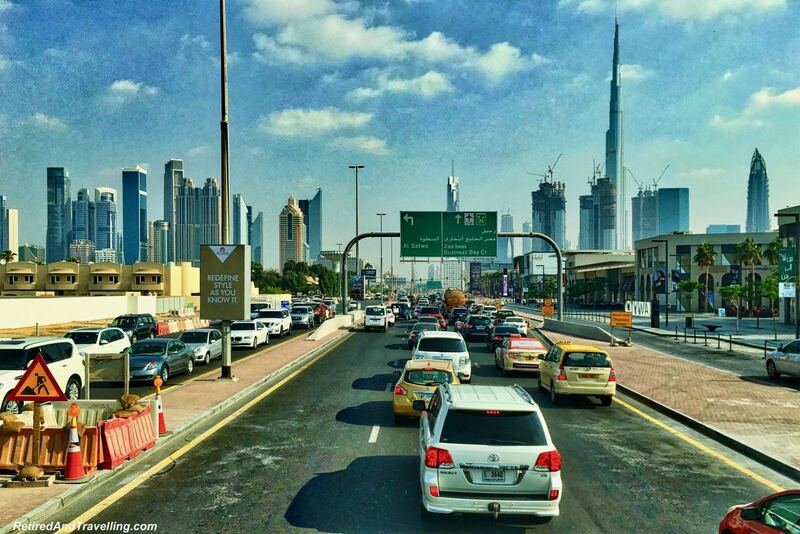 Every time we tried to move around Dubai on the roads, it seemed to take forever. We bought a two day Hop-On-Hop-Off ticket and only saw three things on a massive itinerary over multiple routes. 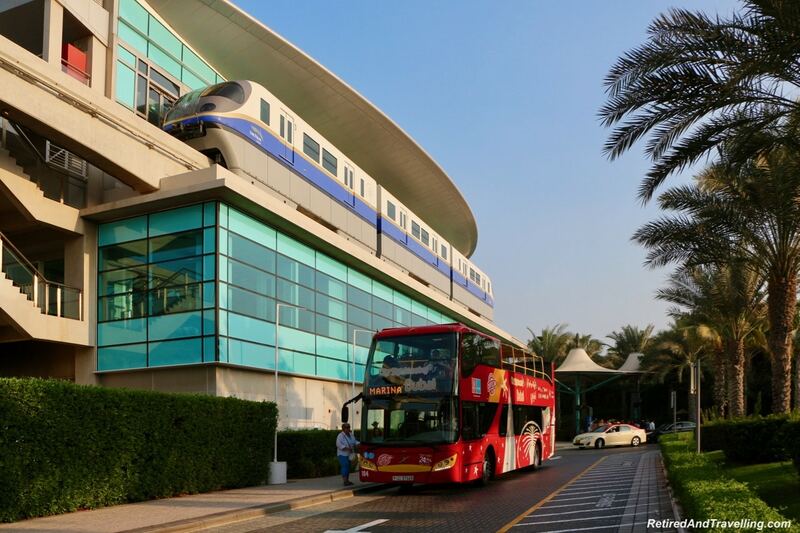 There are multiple tram routes in Dubai. A local tram covers a large part of the Dubai Marina area when we stayed there for New Years. The main line tram runs along the highway. This was a great option to get from the outer areas into downtown. You can have a seat in a gold reserved car or if you are a woman, in your own designated car. Water taxis can be used to cross the waterways. If you want to go to different areas along the waterfront, you can take the ferry. 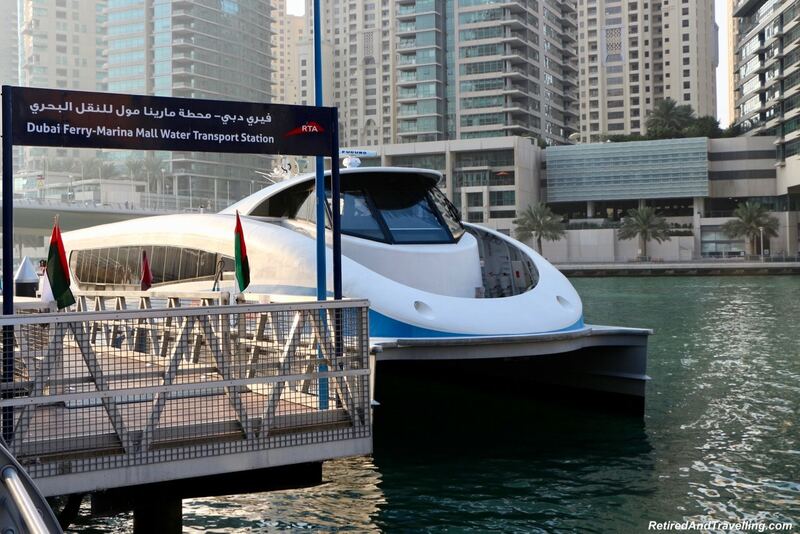 There was a ferry stop in the Dubai Marina area and another on the Dubai Creek. It was so much faster to do this trip by ferry than by car or public transit. A key one of our tips for visiting Dubai is to make sure you maximize your time in this city. This means planning how you will get around Dubai. Different options will work depending on where you want to go. Dubai and all the United Arab Emirates (UAE) are Muslim countries. As such, it is important to respect their culture and plan to cover up much more than you may be used to. 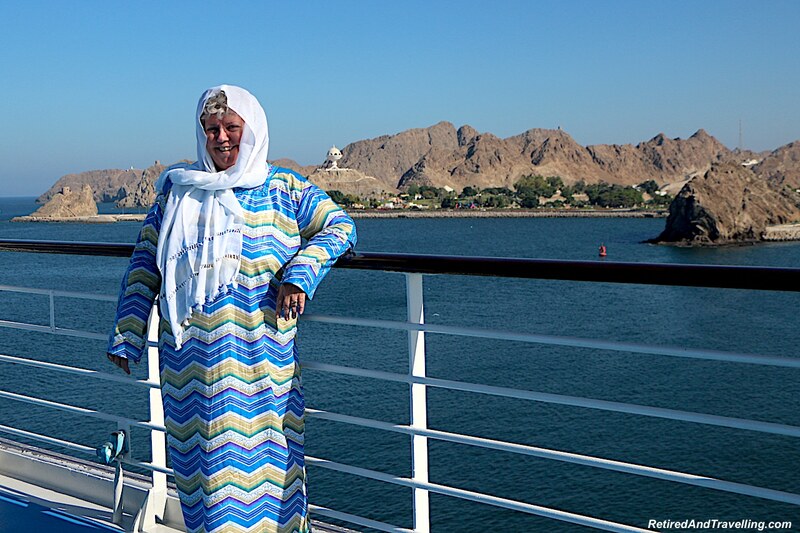 When we visited Oman, I thought I had dressed to cover appropriately. But when we visited the Grand Mosque in Muscat, I actually bought a full length coverup with a head scarf. In Dubai we found a mix of dress, especially in places like the Dubai Mall. The locals were generally dressed in traditional garb. But tourists were all over the board in their dress. 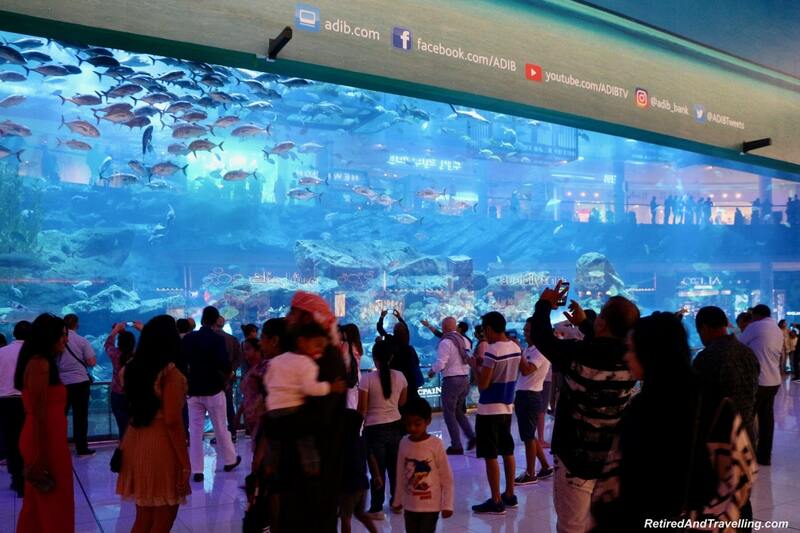 In very modern places like the Dubai Mall, we felt that less constraint may be needed. But when we visited mosques and the traditional souks, we needed to make sure we were more careful in our dress. I bought a more modest bathing suit for our visit to Dubai. So I was a little surprised when we got to the beach by our hotel and found a large number of very skimpy suits. It was easy to tell the tourists from the locals with their very fashionable burka bathing suits or full robes. Planning to dress more conservatively is probably one of my top tips for visiting Dubai. Shop ahead for light and airy clothes to keep you cool but still ensure you are covered. There is a long list of banned substances in Dubai. If you are caught trying to bring banned items into the country, the penalties can be severe. Some of the banned substances are expected. There is a zero tolerance for drugs. The list of drugs include specific narcotics that may be an issue if you bring medicine in with you. I often travel with a codeine-based cough syrup. That was left at home! The banned list also includes things like pornographic materials, fireworks, weapons & ammunition, laser pens, radar jammers and endangered animal species. 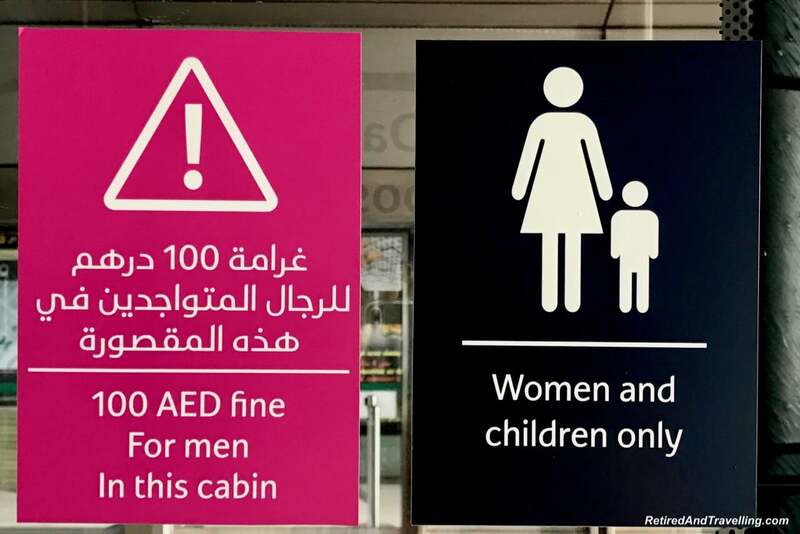 There is a broad category that covers any item that does not adhere to the religious and moral values of the UAE. This could be open to interpretation. The other thing to note is that alcohol can only be served in licensed places, which generally meant licensed hotels, restaurants or bars attached to hotels. You can buy alcohol in the duty free at the airport when you arrive. But be careful where you drink it! Only tourists are permitted to drink. And drinking in public is punishable. There is a zero tolerance for drinking and driving. You may not see the police but there are everywhere. Dressed as everyday citizens! The last interesting point to note as part of these tips for visiting Dubai relates to cell phones. I carry two different options for getting connectivity when travelling (an International SIM and a hotspot). Neither was supported in Dubai. The only way to get connected was to purchase a local SIM. I decided to stick with wifi (which was a hit or miss discovery). But I was never sure who might be listening into internet communications. We found pretty much everything to be expensive in Dubai. The Dubai Mall was great for window shopping. There was a huge variety of shops including most North American brands. But when I tried to convert prices back to Canadian dollars, the premium was too high. And many luxury items caught my eye. But I wondered who actually bought gold iPhones. When we ate at more typical tourist places, we found it outrageously expensive. 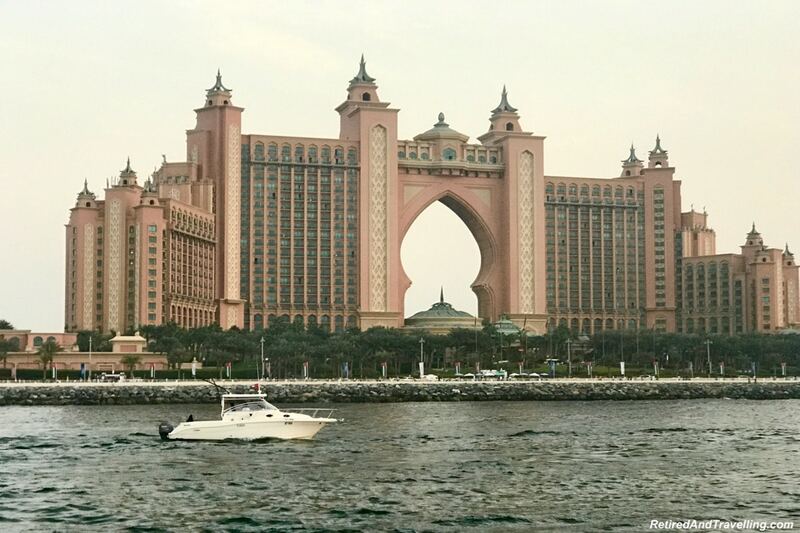 On a visit to the Atlantis Dubai Resort, I indulged my desire for a cold frappuccino drink. I was appalled to find it cost almost $16CND. Like visiting many cities, it was much cheaper to eat if you found small local spots. There was such a variety of food, something for everyone. And if you really got homesick, we passed most of the major North American food brands during our travels. 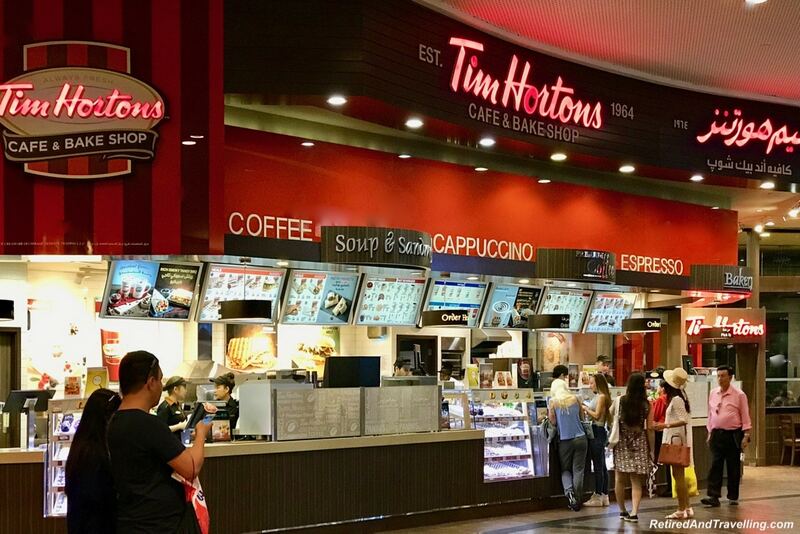 We were surprised to even find the ultimate Canadian landmark – a Tim Hortons donut shop! For many meals, we ate picnic style. This is always something I like to do when we travel. I simply get tired of restaurant eating after a while. But when food is expensive, picnics make a lot of sense. Tours are expensive. Be prepared for that if you want to go up in the Burj Khalifa, especially if you want to go right to the top. We found a great deal on Groupon for our desert adventure tour. Check to see if your hotel has any discounted tours. 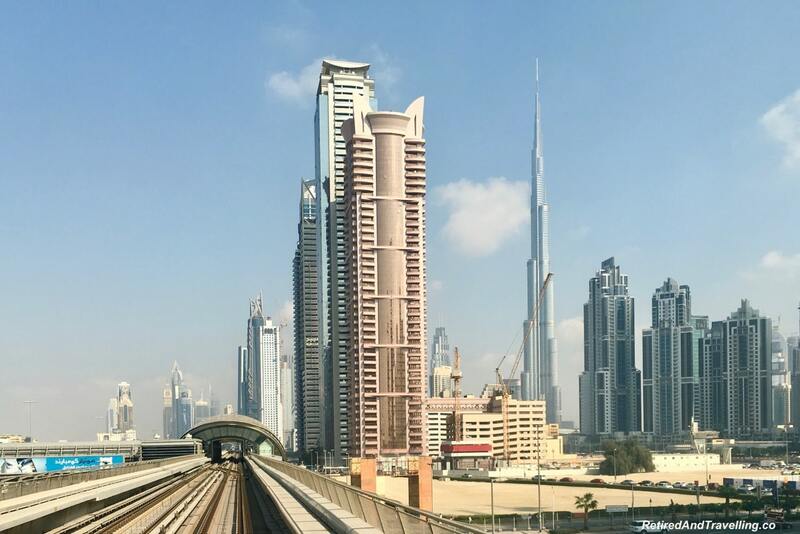 Public transit was a reasonably priced option to travel around Dubai. This is one of the tips for visiting Dubai to consider when you are making your travel budget. The skyline of Dubai is fascinating. Buildings climbed higher and higher, each one a tribute to the imagination of the builder. The city stretched out over a vast area. All of this made Dubai the perfect city to head high for a panoramic view. But one of my biggest tips for visiting Dubai is about setting your expectations for the view you might get. There are many options available to see the city from above. Helicopters and small planes offer flights over the city. The panoramic view from the Burj Khalifa will amaze you. 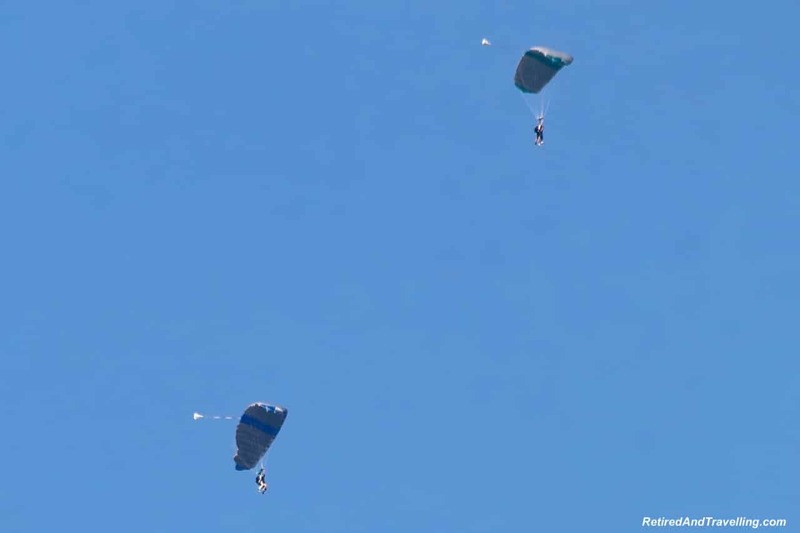 If you are really adventurous, you can even try to skydive. Both a trip to the top of the Burj Khalifa and an introductory skydive for David were on our list for our visit to Dubai. But weather did not cooperate. On our first trip, the fine sand in the air left a haze over the city. 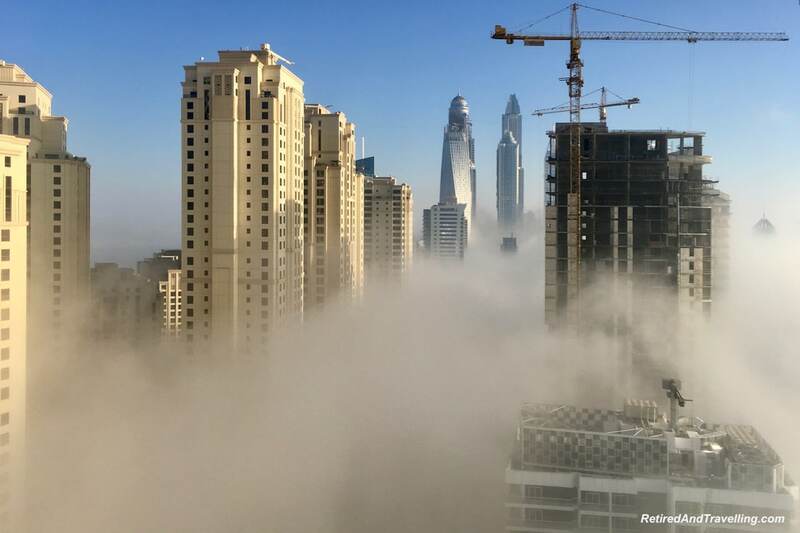 When we returned to Dubai for New Years, heavy fog blanketed the city for 4 days. Be prepared that you may not get the high panoramic view that you expect in Dubai. We did not book any tickets because the weather did not cooperate. Most tickets are not cancellable. When the skies finally cleared, there was no availability to book for more than a week out. So unless you take a risk or accept less then perfect visibility, you may not get your view. Set your expectations is probably one of the tips for visiting Dubai that we did not do well. We really wanted the stunning skyline views. And most days we were disappointed. What are your tips for visiting Dubai? Oh great trip about the traffic. I have a stopover in Abu Dhabi and was thinking of popping over to Dubai for a few hours but might skip that now. The fountain shows looks like a whole lot of fun to watch. My parents lived in the Middle East for many years and I was always told to dress conservatively when I visited. When I recently visited Dubai I was astonished at how some of the tourists dressed and I really respect your approach. 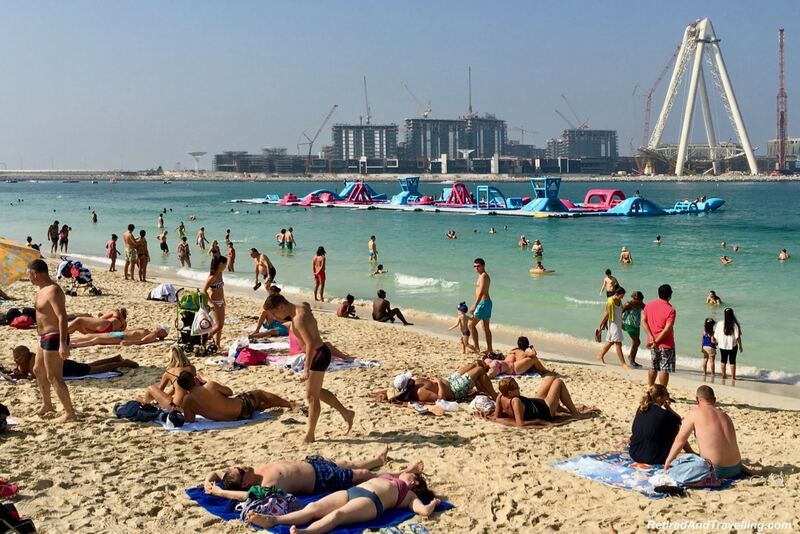 I have to confess my own impression of Dubai wasn’t that great, but perhaps that’s the sad thing about a press trip where you don’t get to do much of your own choice. I thought your ‘getting around’ tips were excellent too – I do remember the traffic! This is an excellent guide for Dubai. I’ve heard it’s really expensive from other bloggers. That’s not too exciting because I’d love to visit it someday. Also, the fact that I would have to take a helicopter tour to get some of those bird eye views may be a problem (I hate helicopters!). I was hoping I could go up to the top of one of these skyscrapers and take the picture from there. Love Dubai and would go back in a heartbeat. I went in Feb and had to deal with the sand/dust storms. I thought it was fog, but that is actually what it was. Took a few days before we could do a desert safari because of that. A couple of days we had to cover our faces outside when the wind picked up. I heard so much good things about Dubai as well as the many restrictions being a conservative Muslim country. However, as you properly emphasized and cleared as long as you’re following all – no need to worry about getting in trouble. I want to see Dubai soon. Hoping to get to Dubai some day. Thanks for the suggestions.I’m surprised to see the Tim Horton’s. 😉 Yeah, who buys a gold I-phone? Your trip looked great and I loved the outfit you bought for visiting the religious space. Dubai sounds so exotic to this So Cali gal. I love that you bought a full burka but agree that it’s important (and often legally necessary) to follow local customs. I expected things to be expensive but appreciate your caution about view expectations. Given it all, I’d still like to chance a visit one day. 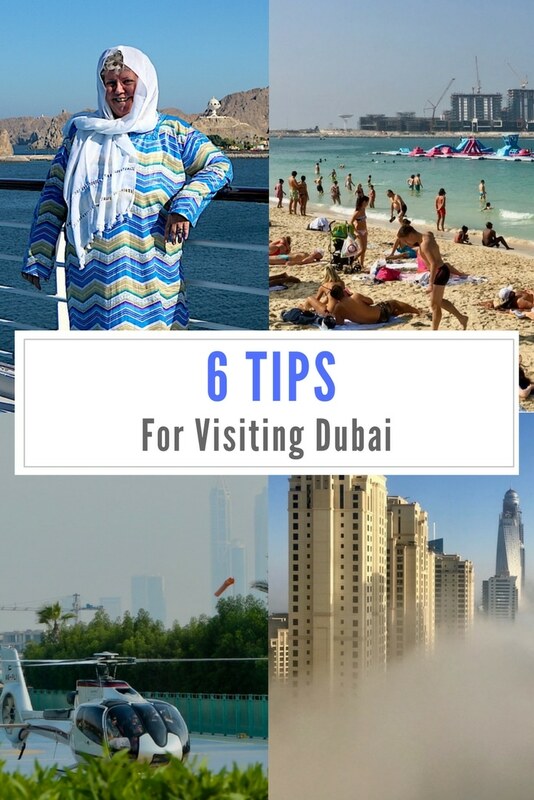 I didn’t really like Dubai, it was a strange place – but having these tips would definitely help to be prepared! I think the strange thing for me was having so much new and shiny buildings, when I expected some more old culture. 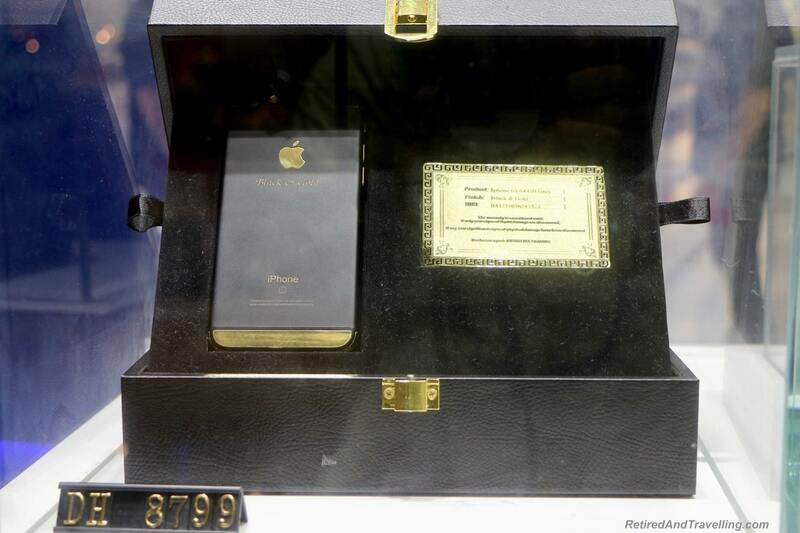 I mean, really, who would buy a gold iphone?? I did get great views from the Burj Khalifa though so I’m glad about that!